I know what you’re thinking. It’s early June, do we really have to be thinking about the new school year already? But if you’re a home school family, you know that staying ahead of the game is really important, and the time to start planning is now. 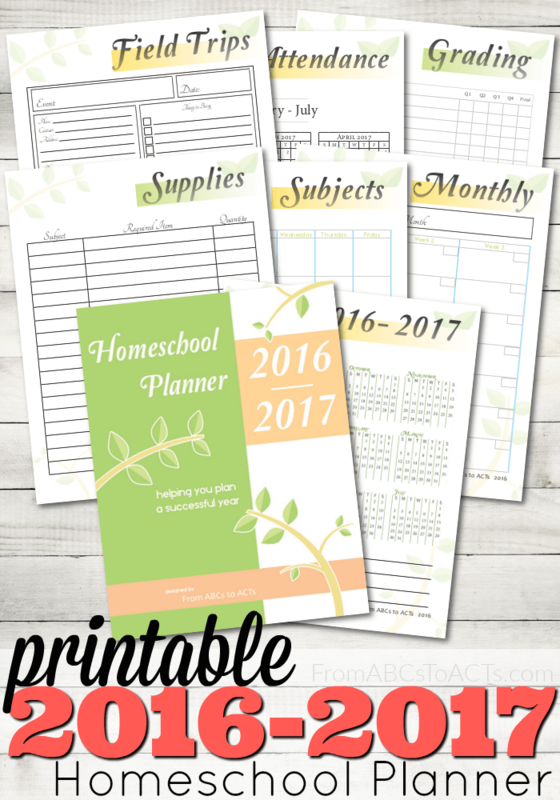 From ABCs to ACTs has got you covered, with an excellent, free, printable homeschool planner. It covers attendance tracking (which some states require), supplies and subject lists, monthly calendars, forms to track grades and a place to plan field trips. This looks like an easy way to get an overview of the year, figure out what you need and start the new school year organized and feeling good. If you know of any other good homeschooling resources for organization and planning, we’d love to hear about them!